"It's just so astonishing, You are Salamander"
The Tardis materialises on a sea shore. They are observed by a group of men from a hovercraft who report what they see to Astrid. They defy her orders and attack but the Tardis crew are rescued by Astrid in her helicopter under orders from her boss Giles Kent. The helicopter is damaged and leaking fuel so she takes them to her nearby Bungalow where the Doctor treats her wounds. She tells him that the men have mistaken the Doctor for someone they hate. He resembles Salamander a would be world dictator. She wants to take the Doctor to see Kent. The thugs from the hovercraft arrive and a fire fight ensues killing one of them, while the other two die trying to escape in the helicopter. Giles Kent is amazed at the resemblance between the Doctor and Salamander. Kent leads a resistance against Salamander. He has been tracking men on his staff who have died. Salamander has tried to kill Kent too. Kent wishes for the Doctor to enter a research centre posing as Salamander. The Doctor refuses but they learn Salamander's security Bruce is coming forcing the Doctor to assume the identity of the dictator. Welcome to another entry in the story sub genre "The Doctor's Double". Part of the plot with The Massacre, where Hartnell's Doctor failed to meet his double the Abbot of Amboise, was not knowing if the Abbot was the Doctor or not. Here *we're* certain who's the Doctor and who's Salamander, but the likeness is played on as a central element of the plot as Kent gets the Doctor to pose as Salamander. And the stakes have been upped too: while Hartnell's double was a powerful cleric, Troughton's is a would be world dictator. You don't get to see much of Troughton's second alter ego here, just a few brief pre filmed inserts. Enemy of the World features a number of firsts for Doctor Who and possibly the most important is in the director's chair. The story of how Barry Leopold Letts (the middle name will become important later) became first an actor and then a director has been told perfectly well elsewhere: Who And Me: The Memoir of Barry Letts is well worth a read. Four more follow stories follow directing under his own name (Terror of the Autons, Carnival of Monsters, Planet of the Spiders and Android Invasion) plus an extra stint standing in for Douglas Camfield when the latter was taken ill during the studio recording of Inferno. He's most famous though as the producer of Doctor Who for the first half of the Seventies, and then served as Executive Producer for Season 18, John Nathan-Turner's first as producer. It's interesting that Barry Letts makes his Who début in this story and in the next one his script editor and great friend Terrance Dicks joins the show as assistant script editor! Barry Letts throws the kitchen sink at part one of this episode: around half of it's on location at Climping Beach near Littlehampton, a location later reused in Terror of the Zygons. The telesnaps fail to provide for us The Doctor's shear joy at splashing in the sea! We get a helicopter on location, and a hovercraft too which both add to the feeling that no expense has been spare. The helicopter as well as appearing on screen is also used to obtain the truly impressive shot from the perspective of the passengers as it takes off which again isn't 100% captured by the telesnaps! I believe there's something in the story later on to even more closely date it! Due to something that happens later on in the story it's necessary to establish how the locations in this story relate to each other geographically. Unlike "darkest Mummerset" of the Pertwee years a lot of the setting in this story are real place that we can fix in relation to each other. Bill Kerr is the chief guest star in the serial, appearing as Giles Kent. He's famous for appearing in Hancock's Half Hour, but was jettisoned when the series made the transition from radio to television. He's been in several films including the Dam Busters and Gallipoli. However Kent's assistant Astrid, who I assume is also meant to be Australian, is played by a South African, Mary Peach with no trace of any accent. There are other Australians in the cast but none of them feature in the Australian segments! Playing one of the thugs, Curly, is Simon Cain who will later reappear as a Silurian in The Silurians episodes 4-7. He also has several Carry On films to his name: fans of the series can do worse than to buy a copy of Carry On Confidential by Andy Davidson. Bearing in mind the thugs aught to be Aussies it's interesting to find that one of them, Rod, is played by a Kiwi Rhys McConnochie. Irony is stretched further when I see that he appears in two Australian Cricket dramas as Englishmen: Plum Warner in Bodyline and Mr Justice Slade (Justice Slade????? Oh that is funny - the Prison in Porridge was Slade Prison) in Howzat Kerry Packers war. 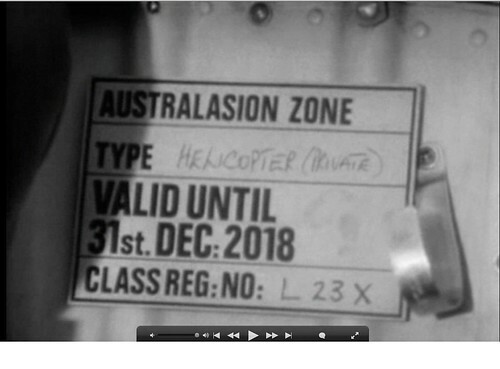 This episode was broadcast two days before Christmas 1967. For many years this episode, and most of the rest of the serial were considered lost with only episode 3 surviving in the archives. In recent years it became clear that the fate of the prints sold to Nigeria was uncertain and missing episode hunter Philip Morris tracked this story, and the following the Web of Fear, down to a TV station in the city of Jos. Their return to the BBC was announced on 11th October 2013, but rumours of their existence had been in circulation for some time beforehand. Once the episodes were in the hands of the BBC it became clear that Enemy of the World 1 was the first to be recorded on the BBC's 625 line PAL standard rather than Enemy of the World 3 as had been believed for some years. Previously Doctor Who had been broadcast off of 405 line video tape but this enhancement produced far better picture quality for those with a TV set capable of receiving it. BBC2 adopted the 625 line standard at launch in 1964 but it took BBC1 a further few years to convert to it. The BBC continued to transmit BBC1 using the 405 line standard all the way to 1985! Nowadays the 625 line standard is referred to as 576i (576 lines interlaced) The discrepancy in the two numbers is caused by the remaining 49 lines being used for other data like a time-code and teletext. No 405 line videotapes for Doctor Who survive, but many of the 625 line tapes do as we shall see shortly. 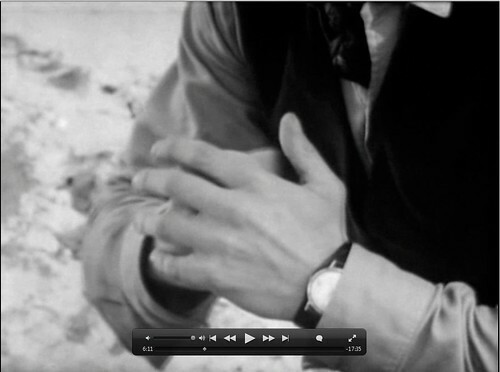 But till the end of the Troughton era episodes will survive either as 16mm telerecordings or 35mm broadcast prints. Once Pertwee and colour arrive things will get much more complicated.